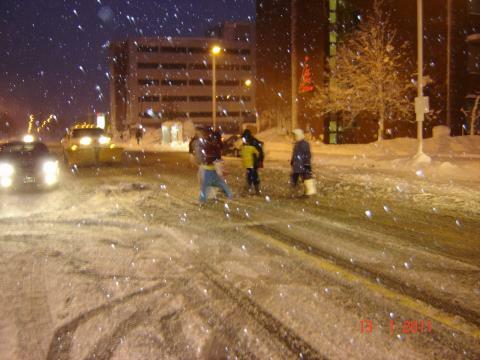 January 2011 – Very Snowy! Snow, snow and more snow… it seemed like it snowed at least once every few days in Greater Moncton during the month. 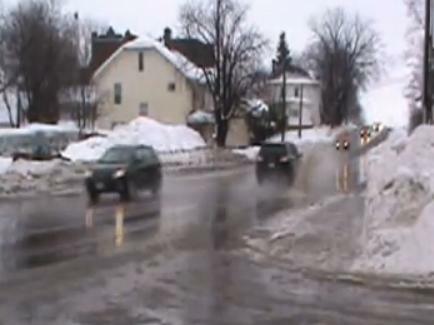 As it turns out, Environment Canada records indicate January 2011 was the snowiest in the region since 1987. 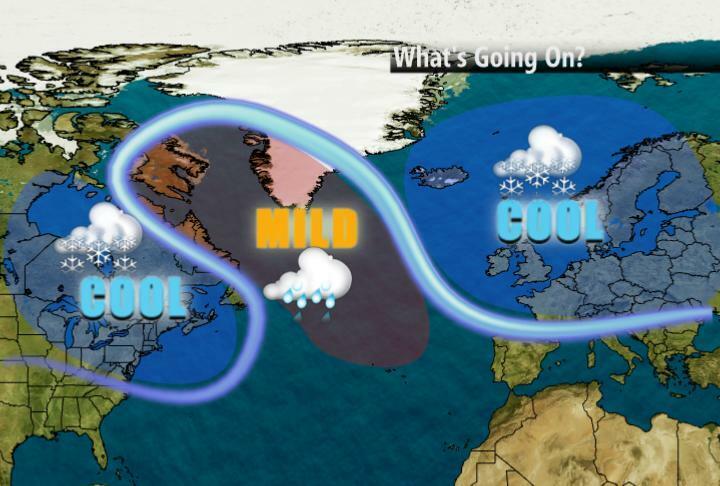 The snow often came during a big temperature swing from extreme cold to mild weather. Cold weather did settle in around mid-month and stuck around for more than a week. Of my six winters living in Greater Moncton, this blizzard is one of the worst I’ve ever seen mainly because of gusty winds (up to 70 km/h) driving the heavy, wet snow (about 30 cm). Schools shut down, RCMP urged motorists to stay off highways after numerous pile ups, transit buses in Moncton stopped running by mid-afternoon and even Champlain Place Mall was forced to close its doors due to the storm. While snow and gusty winds plagued much of Southern New Brunswick, Prince Edward Island and Northern Nova Scotia, freezing rain and rain fell along Nova Scotia’s Atlantic coast. 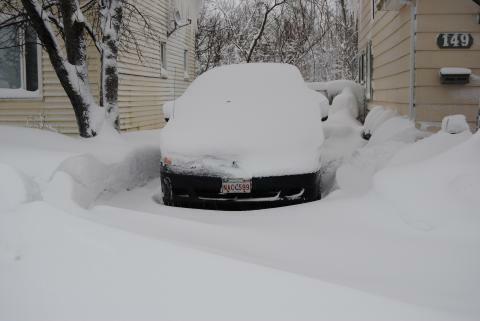 The same storm system also dumped anywhere from 15 to 50 cm of snow on the Northeast USA from Virginia to Maine. The coldest weather of the winter season has descended upon Greater Moncton. 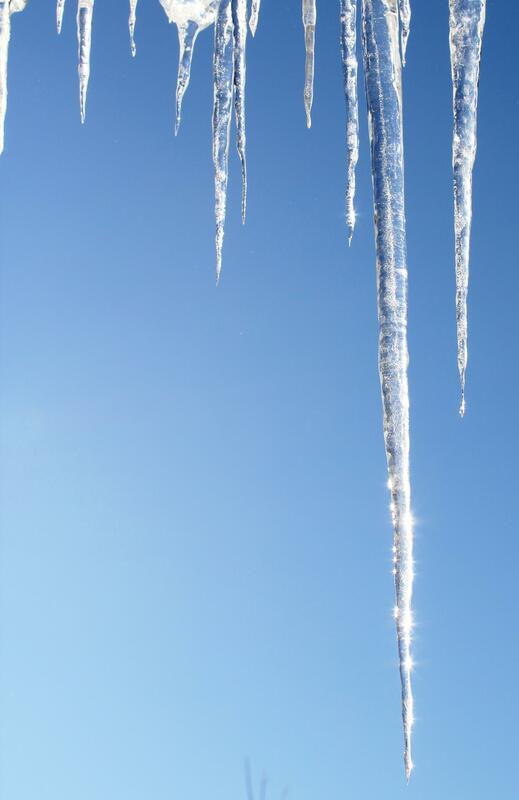 Although the sky was a brilliant blue with lots of sun, the temperature this morning dipped to -24.6 C with a windchill of -39 C, the record low for the date is -28.3 C from 1961. Greater Moncton is digging out again after another mixed bag of precipitation (the second in as many days) hit the region yesterday. 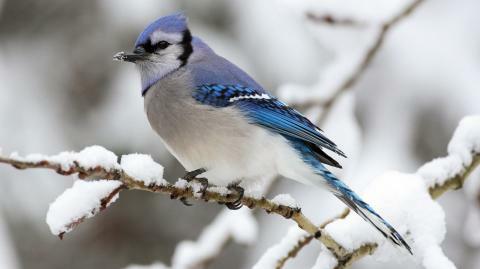 The fast moving Nor’easter was also dubbed a ‘weather bomb’ due to its intensity. Greater Moncton had 13.4 mm of precipitation most of which fell as snow but also rain and at least one hour of freezing rain. Bathurst received 21 cm of snow while Saint John had a mix of rain and snow with 13 mm of precipitation reported. A low pressure system moving up the Atlantic coast brought a mixed bag of precipitation to the region today. Greater Moncton recorded 21 mm of rain which broke the previous record for January 19th of 14 mm (from 1997). But before the rain fell, snow and then at least three hours of freezing rain turning streets into skating rinks. As the temperature dropped, the rain turned back to snow leaving about 8 cm in the messy wake. The death toll from flash floods and mudslides in Rio de Janeiro’s picturesque Serrana region has now surpassed 700, a number that is likely to climb in one of Brazil’s worst natural disasters on record. Authorities say many residents in the region are still missing and some believed to be buried. Hundreds are still in areas at risk of new mudslides, some cut off by washed out roads and bridges while others refuse to leave for fear their houses will be looted. 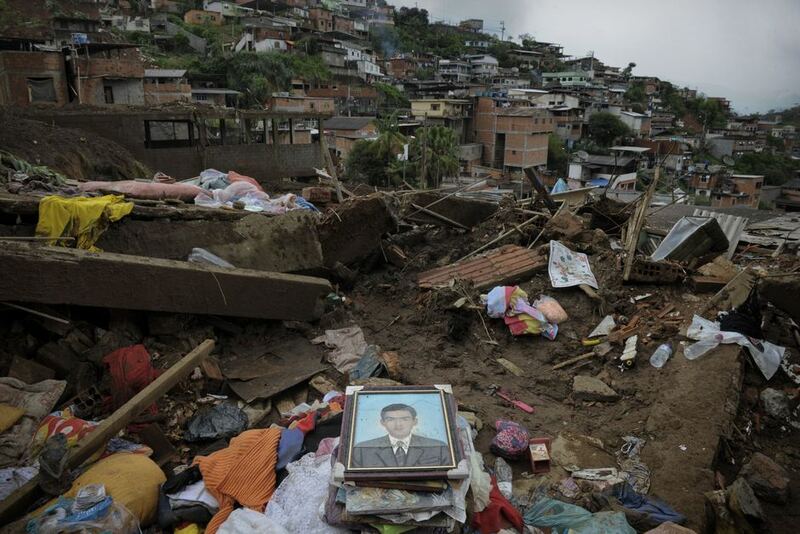 Rains let up earlier today in the disaster-hit areas but picked up again in southeast Brazil later in the day. 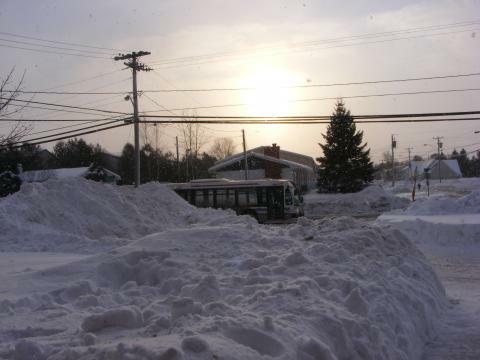 It may come as no surprise, but Greater Moncton was the winner with the most snowfall in the region after the latest Nor’easter roared into the Maritimes last night. The Greater Moncton Airport had a total of 35 cm of snow (giving students their first snow day of the school year), Saint John had 17 cm while Fredericton only received 10 cm. Much of Northern Nova Scotia, including the Cobequid Pass, received up to 30 cm of the white stuff. This storm system is the same one which impacted the American Southeast earlier this week and became a Nor’easter dumping as much as 50 cm of snow on parts of New England. 2010 will go down in the weather books as the warmest year in Canada since recordkeeping began by Environment Canada in 1948. National temperatures exceeded average values by a whopping 3.0 Celsius last year. The report noted all of the country was above normal, with most of Nunavut and northern Quebec at least 4.0 Celsius above normal, with only southern Alberta and Saskatchewan having close to normal temperatures in 2010. Of the 10 warmest years on record, four have occurred within the last decade, and 13 of the last 20 years are listed among the 20 warmest. Average national temperatures been above normal since 1997. Up to 30 cm of snow fell on higher elevations of the American South on Monday, leaving at least four people dead, cutting off power to thousands and closing countless roads. Lesser amounts of snow fell in North and South Carolina, Tennessee, and Mississippi, but a bigger problem was icy roads in Alabama and Louisiana. Georgia and Alabama declared states of emergency and officials closed schools and government offices. 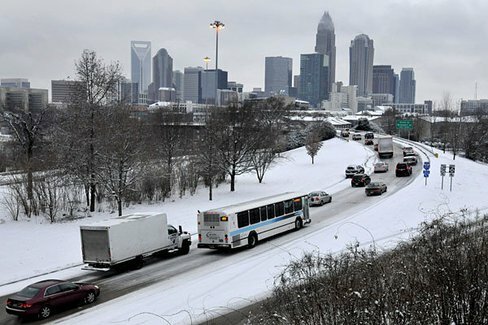 Atlanta recorded 15 cm of snow which shut down the airport – the busiest in the U.S – and left the city with few plows to clear streets. The same storm system is moving up the Eastern Seaboard and is expected to dump snow in the U.S. Northeast and into the Maritimes. December 2010 will go down in the record books as the warmest ever in the eastern Arctic city of Iqaluit, Nunavut. The Baffin Island community had an average December temperature of -8.4°C which beat the previous record of -11.8°C set in 1985. Incredibly, the normal December average in Iqaluit is far colder at a frosty -22.7 C.
The weather pattern responsible for the warmth is known as a negative North Atlantic Oscillation or a Greenland Block and has also given much of Europe colder than normal temperatures with above average snowfall.